2 Hong Kong Toy Design – Raymond Choy is the founder and President of Toy2R. He spent 10 years working for a US footwear company. 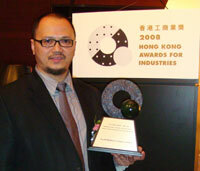 Hong Kong Toy Design – Raymond Choy is the founder and President of Toy2R. He spent 10 years working for a US footwear company. From this job, he developed skills in business operation and quality control. With a simple dream of combining his hobby with his career, Raymond pursued his business degree and took design classes while working full time. After much research and planning, Raymond opened a toy store in 1995. In 1998, Raymond sensed a trend in art toys and was among the first to recognize and explore the potential of the designer/art toy movement, ultimately, instilling contemporary art into the vinyl toy market. At that moment, Choy began the development of his very first vinyl figure, the Toyer. With its huge success and commercial response the Toyer figure gained the support from artists’ and designers’ from all over the world. It is now the company mascot and because of its success it enabled Choy’s next endeavor, the Qee, pronounced “Key”. 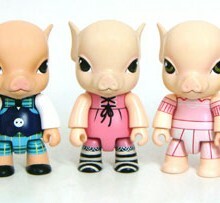 Choy had developed a keychain concept figure series and named it the Qee keychain collection. Through his passion, Raymond would continue to break down the borders between product design, art and graphics. His determination to succeed would help the Qee become a symbol associated with the Toyer and Toy2r brand worldwide.The introduction of QEE in 2001 took the art toy world by storm and has since been linked to internationally acclaimed artists and well as becoming an international iconic brand. Lead by Choy, Toy2R is a multi-faceted designer toy company, not only innovate but also inspire artists, designers and the world’s generation of youth a like. Toy2R has received numerous internationally renowned awards for our outstanding achievements, including Hong Kong Art Festival “Greater China 2010 Outstanding Design Award 2010” and “Ten Outstanding Designers Award 2009”, Asia Pacific Business Awards 2009, the “Emerging Entrepreneur Award” and was awarded by the Hong Kong Trade and Industry Department and the seven major business groups together Office business awards “. – Can you introduce our readers in Art Toys and Toys Design? 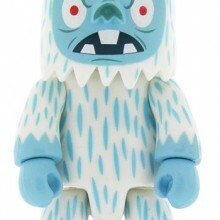 Originating more than 10 years ago, the designer toy genre is made up of creative and innovative designers, illustrators, and artists of all types creating unique limited edition toys. Each artist has his or her own point of view that is expressed using platform toys instead of canvases. These 3D canvases allow the artist to create an unlimited range of designs that must be visualized by the viewer at different angles and perspectives. The genre has taken off in the past few years and TOY2R has been there from the beginning. – How and when did you get into designer toys? I am collect Toys more than 20 Years so I have my idea of Toys and I have my Shop and Brand of Toy2R so I design my own toy – The TOYER which is my First Toy. It is way back to 1999 how I start the designer toys. – What made you want to be a designer? I spent 10 years as an employee of an American Footwear company. During the work to developed skills in general business operation, quality control. Following my dream of combining my hobby with my career, I opened my own toy store in 1995. I observed a trend in collectible way on lower cost on movement of toy design. I decided to develop of a vinyl figure and turned it into an internationally recognized company. 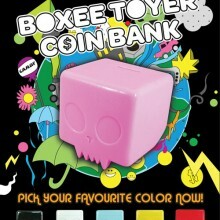 The Toyer design, which resembles a simplified human form with a cartoon Skull Chinese Head. In 2001, I designed a series of figures originally intended for use as key chains, and named it the Qee Key chain Collection. This distinctive design resembles a round and squat human form, and features a variety of animal heads and a broad range of paint applications. 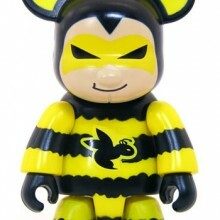 The Qee figure and its many variations (nearly 1500 figures have been produced to date) are the signature product of the Toy2R brand. 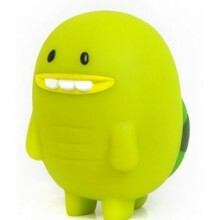 The Qee figure is noteworthy for being one of the most easily recognized designer toys. – How long does it take you to go from initial concept to having a prototype in your hands? It take about 6 – 9 months to develop a concept and then have a prototype made. But from Qee Series the faster project we able to do within 30 days. – What do you try to communicate with Toy2R? At TOY2R we want everyone, from the established artist to the amateur creator, to have fun using our platform QEE figure in expressing their originality and creativity. We enjoy seeing people becoming inspired working with QEE and coming up with new and amazing designs. – What is the most important quality to collaborate with Toy2R? Originality. Fortunately for TOY2R we receive hundreds of submissions each month from people all over the globe who have created either an original idea for a toy or a custom design using our QEE figure that they want to have produced. Amazingly enough, for more than 10 years, there are still designs that impress us – those are the designs we want to follow up with as we believe the world would appreciate seeing these new creations. We have produced more than 1500 original QEE designs but we receive new designs each day that take the platform further than we ever thought possible. – When other designers want to collaborate with you, is easy to understand the more successful idea and chose the best one? We work closely with the designers and the only time we really step in is if there is a lack of understanding the production process and how their vision may be altered. We try hard to recreate and capture the original idea or concept developed by the artist. On a collaboration – we want the artist to stand out. His or her design is what we are promoting. – What do you think is the most quality that makes Qee unique and differente from [email protected] or Popobe? While [email protected] have been around as long as QEES – there is no connection between the consumer and the figure like there is with QEE. We invite artists of all levels to work with QEE. Our figures have a playability about them while also having the appeal to young and older audiences. We also work with companies all over the world creating unique designs and figures for promotional, marketing and positioning. The brands we work with are looking for something that communicates a sense of fun but is still innovative in its presentation. ALso with our patented keychain attachment – the QEE figure is truly the original designer figure you could literally carry with you expressing your on love for QEE and the art it is decorated with. – Toy2R realize Homer Qee, Bart Qee, Hellboy Qee, Baby Qee, Reverse Baby Qee, etc … Do you think that Qee wil change more and more from the first Qee or will always keep something that help people to recognize is Qee? At TOY2R we always talk about evolution. While the basic look of the QEE figure hasn’t changed – we have made subtle adjustments making it a high quality collectible. With our leap into the world of licensed figures – we see it more as a way to communicate with new audiences who may not yet learned about QEE. 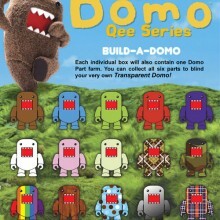 If we work on a QEE project for the SIMPSONS or DOMO, chances are that collector will want to learn more about QEE and as their tastes evolve they may look for artistic qualities and designs that speak to them. They will find our collection of artist design QEES perfect for continuing their collection without feeling as they just collect toys. Now they collect artwork. A lot of the artist we work with sell their original paintings or sculptures for thousands of dollars but we make it possible for a fan to collect a work of art for a lot less. – Do you invent back stories for your creations? We do have a backstory on some items but as we continue to produce more and more, it is difficult to build a continuing story line for each character. Even when we release our iconic postcard listings, showing all of the designs we have made so far – we hear from fans who remind us that even we forgot a couple and still need to add them. All of the non-QEE figures we develop with artist do have backgrounds which we try to incorporate into the packaging or the presentation. – How much does it cost a limited series? With the economic changes currently happening around the globe – there have been significant changes in the amount it now takes to develop a new figure or line. A minimum for a project ranges from US$20000 or higher depending on what you will need to make – a new Head? A special package design? Many colors combined on the toys…..? so there is no a Fixed amount how much you cost on a series especially for designer toys because almost every new figure we work on starts from scratch. – How does toy design differ from traditional industrial design? Every industrial need Design aka Designer. The traditional Toy industry using Designer on Daily work but independent Designers are using their own point of view and most pay the fund to make toys by themselves. 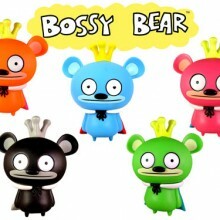 – In China and Hong Kong Toys Design are very popular. Popular some times get copycat. Do you think they could be problems for Intellectual Property? While bootlegging is a hard to keep in control, our QEE brand figure is patented so if there ever were and issue – we are protected. We have seen copycats but the reproduction is poor and we have very high standards. – How does toys design influence the new market? – Fashion brands starting have more and more connection with Toy Design. I saw a Qee with a Roberto Cavalli wedding dress. Do you think this kind of collaboration will grow a lot in the future and stylists will have more interest in Toys Design? Toy2r has been commissioned to create exclusive Qee figures for such companies as Adidas, DKNY, Mitsubishi, Xbox360, Nokia, Sony, Starbucks and many more. Toy2R continues to grow and influence the world while expanding the definition of art. 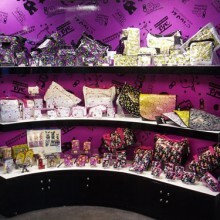 You will find our Qee creations in more concept stores, galleries and museums worldwide. Join the “Qeevolution ” because everyone wants to collect more Qee!